Whenever I visit Los Angeles I always tend to gravitate towards the coast and stay put, since my closest childhood friend lives in Santa Monica and a few miles away my sister attends Loyola Marymount University. What can I say, LA traffic makes crossing town a Herculean effort. That is until I found myself in Downtown LA’s Little Tokyo fueled by promises of homemade mochi (rice cake). On my most recent trip to Los Angeles, I had a few hours before my train departed from Union Station. Not being one to miss an opportunity to explore a new area, I took off with all my bags in the warm Southern California afternoon (not recommended, but when mochi is a motivator you have to do what you need to do right?). I have been curious about Little Tokyo for a long time, since I’ve heard good things about the food. Here in San Francisco, we have a Japantown, but you hardly hear Japanese food and Japantown in the same sentence. So naturally I had to see this firsthand for myself. 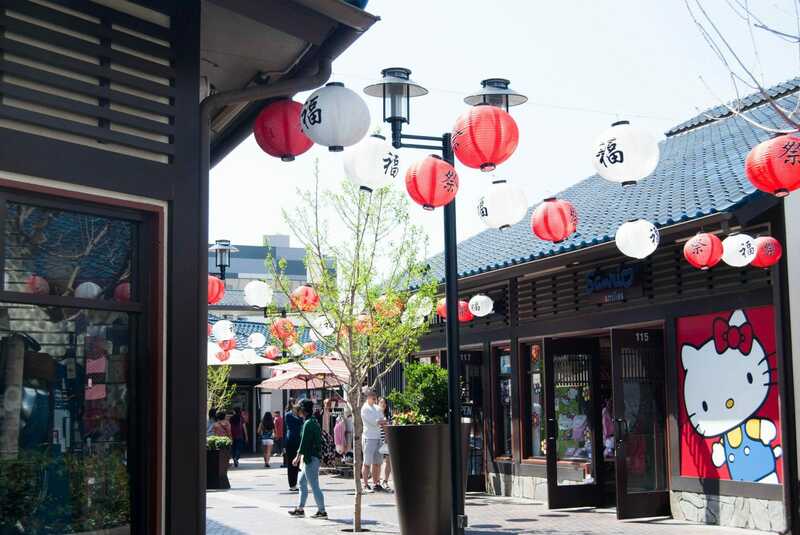 LA’s Little Tokyo is home to the largest Japanese community in North America (the other two are in SF and San Jose). Historically, it was where a majority of the Japanese lived in the early 20th century, but in one of the lowest points in California history, they were relocated during WWII to internment camps. Now what is left of Little Tokyo serves mainly as a commercial and cultural hub, since most Japanese have moved to cities like Torrance or LA’s Westside district of Sawelle. I had heard rumors about a particular ramen shop, but not wanting to wait in the giant line, I bypassed it and went to see about a 100-year-old mochi shop instead. Fugetsu-Do has been serving mochi and manju (sweet bean-filled rice cake) since it opened its doors in 1903. It is one of the oldest shops in the city, consistently churning out wagashi (sweets) for over a century. The shop itself captures a past era with its wooden shelves and small interior. Rows and rows of jewel-colored mochi and manju are lined up behind the glass cases. It was crowded and I quickly became overwhelmed with the choices, so I ordered a bright pink mochi and a soft white manju and made my escape. Across the street, I found a bit of shade in the courtyard of the Japanese Village Plaza Mall and took a bite of the mochi. It was buttery soft and not overwhelmingly sweet. I briefly consider buying more, but practiced restraint. Instead, I sat there for awhile covered in a light dusting of powdered sugar, watching groups of giddy teenagers and Japanese grandmas with their plastic shopping bags pass on by. Mikawaya if you prefer your mochi in ice cream form. Mitsuru Café serves freshly made imagawayaki (red bean cakes) and other delicious treats like chicken karaage and takoyaki balls. If you are looking for an actual meal, I’ve heard good things about Daikokuya for ramen and Hama Sushi for fresh sashimi. For take-out, the supermarket chain Nijiya has a wide variety of sushi and bento box options. Have you been to Little Tokyo? Where are your favorite places to eat?